Possibly Cerianthus votgi. Jensen, P. (1992). Cerianthus vogti danielssen, 1890 (anthozoa: Ceriantharia). 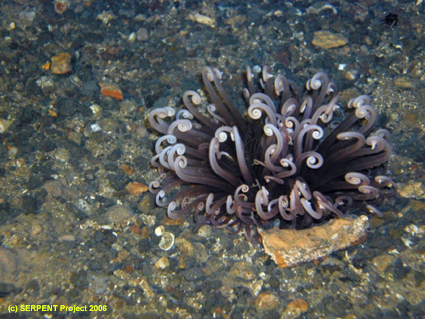 A species inhabiting an extended tube system deeply buried in deep-sea sediments off norway. Sarsia, 77, 75-80.